The Court of Appeal has ruled that the four month sentences handed down to two Bulgarian nationals was “manifestly inadequate” and has replaced the sentences of four months imprisonment in each case with one of two years imprisonment concurrent on all the offenses. Chavdar Bachev and Georgi Todorov were sentenced in April of this year after pleading guilty to three counts of theft; one for each bank, including HSBC, Butterfield and Clarien. They used counterfeit cards to withdraw cash from several ATMs totaling $19,900.00 over the course of three days. They also pleaded guilty to money laundering for transferring money out of Bermuda and attempting to leave the country, and were held at the airport with over $19,000.00 cash between them. 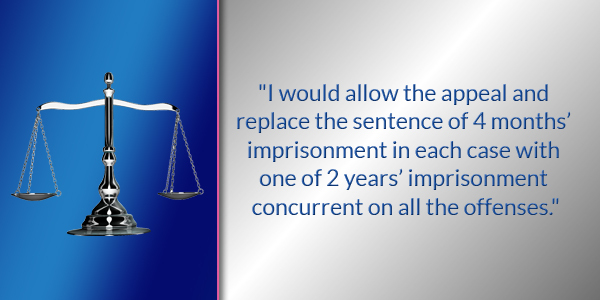 In describing the ruling, the document from the Court of Appeal said, “I am satisfied that the total sentence of 4 months was manifestly inadequate. “The question arose whether this was an appropriate case in which to grant leave and allow the Crown’s appeal bearing in mind that the respondents have left the country and are on a stop list as regards to re-entry. “In my judgment an appropriate sentence should be passed and the authorities can decide whether extradition proceedings are appropriate.